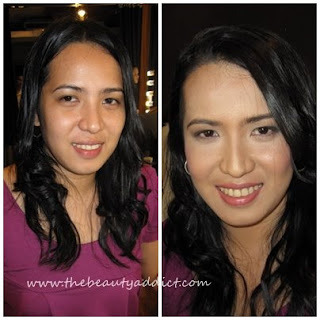 My desire to learn how to do bridal makeup is the main reason why I enrolled in a makeup school. 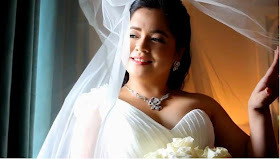 I am always amazed on how a simple makeup can transform a bride into the most stunning and elegant woman in the event. It needs to be radiant and natural. It’s not the time to experiment on makeup. Use a cream blush as a base to make the blush last longer. Jean Garcia. She volunteered to model because she's interested to study makeup too. Turned out we have some common friends. Eeekkk....my face was so oily after the hard work hehe.